But mesh set-up is hardly simple. To say that I couldn't wait to get my hands on the Portal router from the start-up Ignition Design Labs would be an understatement. Ever since I got my first demo of this sleek, flat, white router last April, I was anxious to see whether its prototype demo hype during its crowd-funding campaign would match its real-world performance. Bottom line: as a single router, as an alternative to a traditional black router (that looks scarily like an upside-down spider thanks to multiple and ugly external antennas), Portal is a wonder. The router offers more consistent speedy performance than any other router, mesh or standalone, that I've played with in the past. But setting up a second Portal to create a mesh network is unnecessarily awkward and confusing. Fortunately, most people won't need a second Portal. At $199, a single Portal also is much cheaper than most traditional high-performance routers, as is its two-pack bundle, which is available on Amazon for $319. 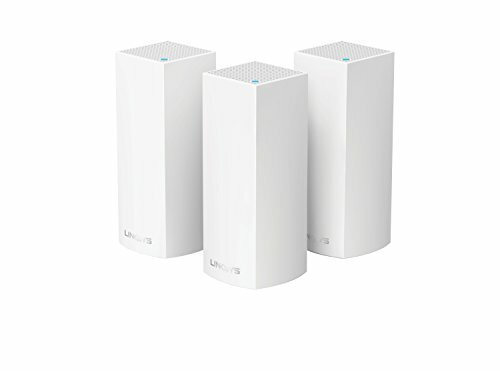 This makes Portal is pricier than other multi-unit Wi-Fi mesh bundle systems such as the Ubiquity Amplify System, Plume and Luma, but far cheaper than our top-rated Netgear Orbi. Portal's all-white capsule is very sleek. Portal is sleek, contoured white slab that sits flat on a desktop or shelf. While far more aesthetically pleasing than a traditional black router, it suffers the same ergonomic problem – at 9 wide by 8 inches deep, Portal absorbs too much area, nearly four times the desktop space than an eero, for instance. I understand the reasons for Portal's expanse – inside are nine antennas to help direct its Wi-Fi signal precisely where you need it, along with a pile of other unique performing-enhancing technologies, and perhaps it has to be oriented flatly in order to maximize transmission performance. But I'd have been happier if I could stand the Portal up vertically; it would still be the same size, except now I'd have more shelf space to stack books, stand photos or place tchotchkes next to it, and it wouldn't be so obvious. In addition, at about 3x3x1 inches, Portal's transformer jack is abnormally large compared to the jacks of other routers or mesh systems. Fortunately, its two-prong AC jack is aligned vertically, on the skinny side of the transformer, so it doesn't block adjoining AC jacks on an outlet strip or wall outlet. Engraved on the top of the router is the Portal name, with the "o" lit either green, blue or red to indicate status. On Portal's rear are a dedicated WAN Ethernet jack to connect it to your cable modem, four additional Ethernet jacks for other hard-wired Ethernet connections, and two USB jacks for connecting connected devices such as networked printers. Setting up Portal as a single router is pretty easy, following a similar method as all other routers or mesh systems. The company provides a video to guide you through the set-up, but the guide cards in the box and the simple-to-follow app instructions will get you going quickly, with little fuss or bother. The best part of the set-up is the ability to create your own network name and your own password, instead of the system forcing both on you initially then offering you the often complicated option of changing either or both afterward. After failing in my independent attempt to set-up a second Portal, I had to engage an apologetic Portal executive to give me step-by-step hand-holding instructions by phone to get my second Portal set up as a mesh network, which took around 15 minutes. Portal has posted a short video to help get you through the process, which make things a bit easier – but having to plug the second Portal into the first is still an awkward method when compared to the more automated plug-and-pair methods used by other mesh systems. Fortunately, you may not need a second Portal to create a mesh since Portal makes an excellent individual router. Portal is an excellent individual router for a single home. Portal's executives brag that no other router packs the technology that Portals do. I believe the brags are based on Portal's performance. The first thing that sets Portal apart from its router competition is its use of the DFS (Dynamic Frequency Selection) bands. These 5GHz bands (like all mesh accesses a variety of frequencies at both 2.4GHz and 5GHz) have been reserved for weather radar, and so are nearly empty and unused for consumer usage, as long as you're not near an airport. From a practical point of view, being able to access these empty DFS bands is like moving from a crowded two-lane highway to a new, nearly empty six-lane freeway – you'll just naturally move far faster than you would using a traditional router because you're free to pick the fastest route as you drive. Right now, Portal is the only mesh system to access DFS bands, but Linksys says it will add DFS access to its new Velop mesh system, which I'm currently playing with as well. The proof is in the Portal's performance. While I got wild spreads of more than 100Mbps between slowest and fastest speeds from all other mesh systems, each speedy Portal connection usually fell within a narrow range of around +/- 40Mbps. This means that each Portal connection will be as speedy as the previous, rather than the usual fluctuating connections I often experienced with other systems. I should add, however, that Netgear Orbi remains the only router that delivered the entire 300Mbps I subscribe to from my cable provider (Spectrum). But Portal's average of around 225Mbps on my system ranked near the top of all the other mesh systems I'm testing, which means there will be plenty for throughput for you with 25, 50 or 100Mbps plans. Portal also seemed to stay consistently speedier at the outer reaches of its range when compared to other mesh systems. This ensures consistent connections from outdoor cameras and Wi-Fi patio or pool speakers placed outside your home. As noted, inside the Portal are nine antennas designed to aim signal directly at the devices connecting to it. Portal also says it automatically assigns the clearest frequencies available to it and your device to ensure to cleanest and fastest connection, and also can identify the type of device connected to so the optimal connection is generated. For gamers, this means Portal knows it's connected to a console and delivers peak speeds with less lag time so your frantic button pushing results in instant on-screen action and not frustrating, game-losing delays. Portal's smartphone app is uncomplicated; it allows you to set up special limited guest networks and there is a "compatibility mode" to help more easily connect devices that can't access a 5GHz network (such as many Wi-Fi security cameras), but contains no parental controls. Portal says it can cover 3,000 square feet with Wi-Fi signal, more area than most single routers claim to cover and nearly as much as some dual-unit mesh systems. Nothing in my testing disputed this claim. 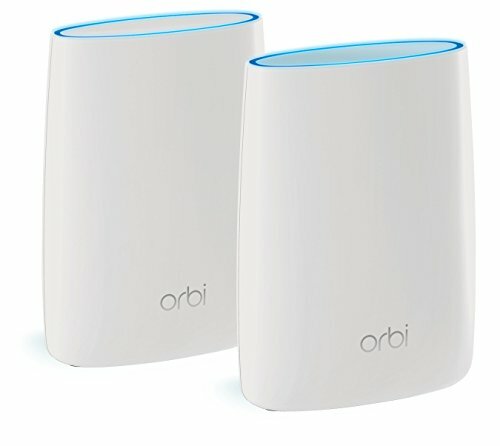 Thanks to its ability to access empty DFS bands, Portal delivered faster, more consistent speeds than any other router I've tested save the more expensive Netgear Orbi. 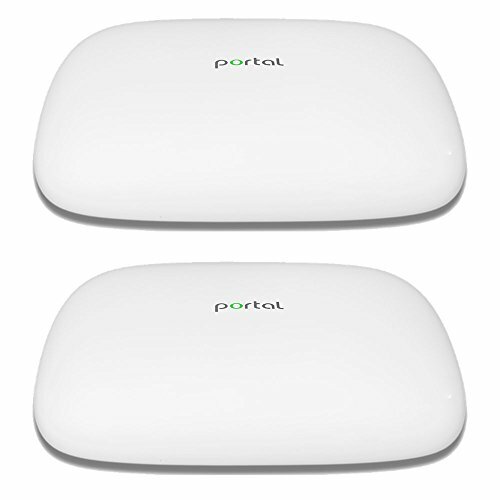 But while two Portal's can be connected to create a mesh, the process isn't intuitive or easy, and, even though you can buy a two-pack, Portal is not designed as a mesh system the way Netgear Orbi, Ubiqity Amplify, Plume, Luma or Linksys' Velop are. But, as noted, one Portal may suffice as an alternative to a similarly or higher-priced dual-unit mesh system. With this in mind, if you live in a large home with more than 3,000 square feet inside and out to effectively cover on multiple floors, I'd opt for a system designed from the ground-up as a Wi-Fi mesh network. But I'd highly recommend a single, centrally-located Portal for any relatively small home or small- to mid-sized urban apartment surrounded by dozens of competing Wi-Fi networks needing a network constantly accessed by multiple heavy users, as long as said home or apartment is not near an airport. 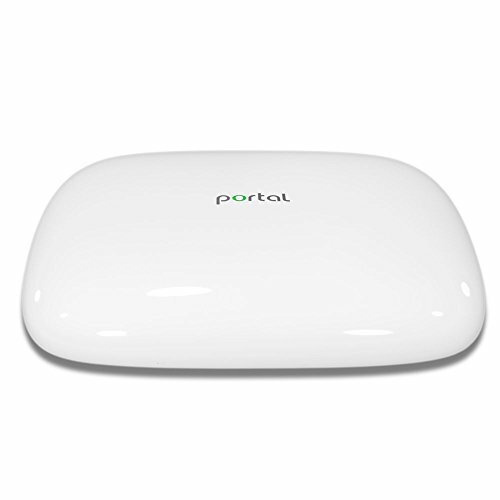 Portal is a pretty and powerful single router solution.